When looking into a storage system for your files, there are different forms of backup. While some prefer to move their files to a cloud storage system, some prefer to use a disk imaging software that makes a copy of the entire system. 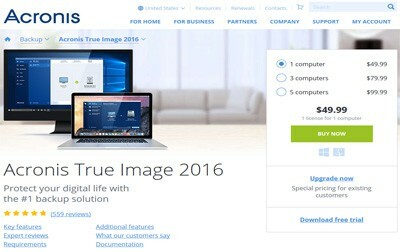 One particular software that is worth looking into is Acronis True Image. Before you make your final decision though, you may want to read a few reviews to get an idea of what you are buying. 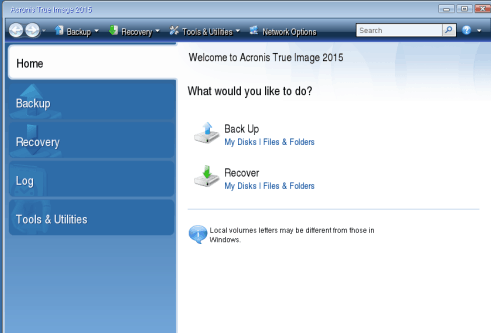 Below is a thorough review of Acronis True Image and what you can expect. These enhanced capabilities are highly beneficial to most users. In addition, Acronis has repaired one of the main complaints of past versions, which is that the device is difficult to use. For more about what else Acronis has to offer, let’s take a look below. 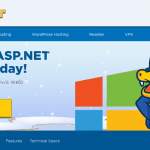 Another feature of the new interface is that it offers users a streamlined experience. In order to access the settings, you need to navigate to the specific menu. This reduces the clutter on the page, but it also adds another step to the entire process. Ultimately, while the interface is easy to navigate and can be learned quickly, it may take a bit of time. 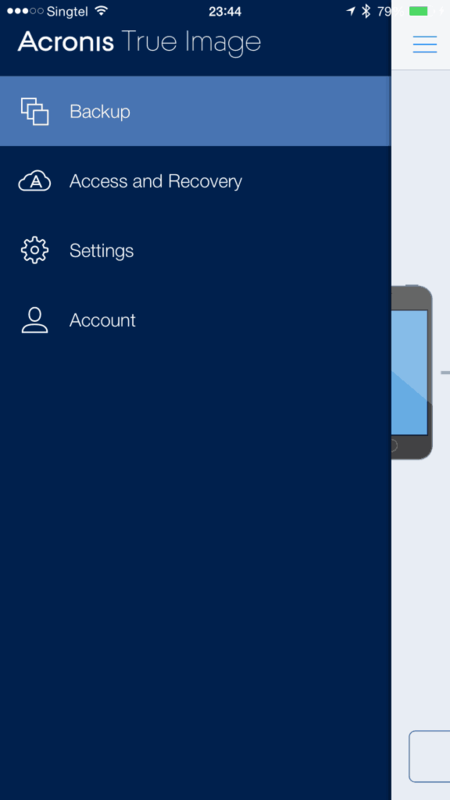 With Acronis, users can back up their files to their computer or another device. As you can tell, the interface is extremely clear when it comes to the storage process. Acronis provides users with a useful tab that includes the main functions, and each function features what is backed up in the particular area. When backing up files, you can back up your files to your entire PC or to a custom destination. With Acronis, you can also add multiple destinations. In terms of the speed of data backup, many users have noted that it takes about 20 minutes to back up 40 GB of data. While these numbers ultimately depend upon your internet connection and the advanced technology of your PC, you should be right in that range. Creating a backup is easy with this software, but so is retrieving your files. Below is an overview of what the file retrieval page looks like. Let’s discuss. As you can tell, the interface is extremely clear when it comes to recovering your files. When you restore your files, the system will prompt a message that informs you that files can be overwritten. When providing this message, you’ll be notified of all the files and you can unclick the ones that you don’t want the recovery to overwrite. To recover a 40GB hard drive, it may take about 20 minutes, which is relatively quick compared to other recovery options. As with any system that is backing up your files, you may be concerned about the security features of the device. The Acronis 2015 includes 256-bit encryption and a private user defined key. You also have the opportunity to create your own password instead of the one provided to you by the system. If you have a tendency to misplace or forget your own passwords, then keeping the given security may be a smarter solution. If you do lose your key and the key was the one given to you by the system, then you can contact the company to restore your password. 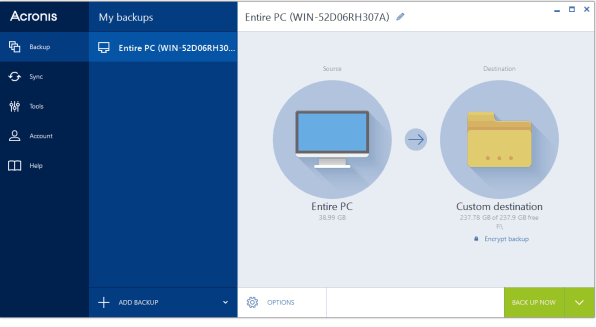 Another capability that Acronis 2015 is that it enables you to synchronize files between different computers. Keep in mind that if you do use this feature and you’re synching your files to the cloud, you’ll be required to pay a monthly fee. When synching files, you can synch to any folder. You can also synchronize multiple folders at once, a capability that you’ll likely not find elsewhere. You can also synch your files to a different computer or a different device, which gives you the ability to access what you need nearly anywhere. While most of this storage system’s features are quire promising, the main trouble with this system is that it doesn’t provide extensive customer support. Customer support is only available for 30 days. After the 30 days, Acronis will require you to pay for technical support. However, rather than pay a flat fee, you’ll need to pay $10 for every time you need a support agent to answer a question. The decision on Acronis’ behalf to charge for customer support is the one factor that truly makes this system a second-guess for most people – especially when there are other options out there that provide you with free support. 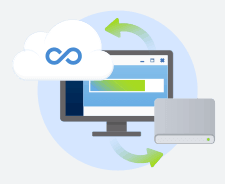 Overall, if you are looking for an easy to use and quick backup storage system that can restore files on multiple devices, then the Acronis will do you justice. However, as mentioned above, you’ll find this system to be quite challenging, especially if you have an issue arise. To get help, you’ll be charged. If you aren’t looking to be charged for every service call that you may have, then it may be best to look for a different device. Provides easy restore if ever anything goes wrong. Can backup and recover files from mobiles/tablets. With a centralized dashboard you can manage multiple computers and devices. Doesn't provide extensive customer support.